Germany's top security official on Monday banned two major propaganda outlets controlled by the PKK terrorist group. 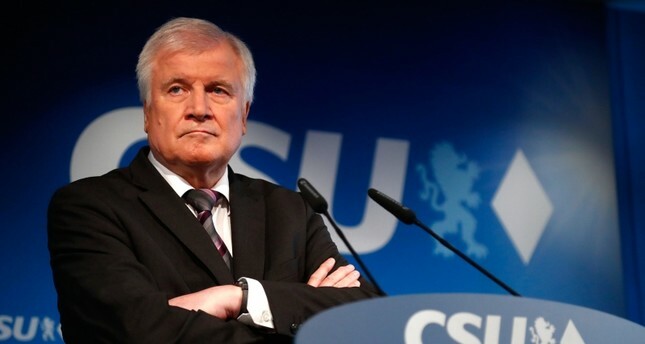 German Interior Minister Horst Seehofer said Tuesday that he banned and dissolved the publishers Mezopotamien Verlag und Vertrieb GmbH and the MIR Multimedia GmbH because they support the outlawed PKK. Mesopotamia had published content propagating the terrorist organization, including the book of the jailed PKK leader Abdullah Öcalan. MIR, on the other hand, is known for its work in the multimedia sector, where it organizes music concerts and events that serve to distribute PKK propaganda. The interior minister said in a statement that searches of the two publishing houses in Germany's western states of North Rhine-Westphalia and Lower Saxony were underway. "As the PKK is still active despite being banned in Germany, it is necessary to rein in the PKK and uphold our legal system," Seehofer said. He said that the two organizations used their earnings solely to support the PKK which has been outlawed as a foreign terrorist group in Germany since 1993. Despite being banned for decades, the terror group still active with nearly 14,500 followers in Germany. Turkey has long criticized German authorities for tolerating PKK activities in the country and has pressured Berlin to take stricter measures against the propaganda, recruitment and fundraising activities of the group. The PKK, which is listed as a terrorist organization by Turkey, the U.S. and the EU, has waged a terror campaign against Turkey for more than 30 years and has been responsible for the deaths of nearly 40,000 people, including women and children. Despite its international status as a terrorist organization, the PKK has enjoyed relative freedom in European cities and has a particularly strong presence in Germany. PKK supporters have been allowed to hold rallies, recruit militants and collect funds in Germany, which is home to some 5 million people with Turkish origin, including Kurds.